Even financial planners can make mistakes with their money. When Rachele Bouchand was dating her now-husband Blaise, he asked her to take a look at the small individual retirement account that a friend had helped him open in 2011. But Bouchand put it off, assuming that the investment was fine. When she finally looked at the account three months ago, she discovered his $6,000 had been invested in a gold and commodities fund that came with high fees and had lost money, even as stocks soared. While a basic stock fund would likely have returned major gains, his investment had sunk to around $4,000, she said. They have since moved the account, and Bouchand gave her husband advice she usually gives her clients. 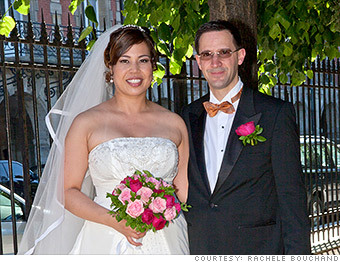 "I gave my husband a mini-lesson on asset allocation and fees," she said. "I was so embarrassed and angry that this happened in my own household."